While for the majority of physicists the problem of the deciphering of the brain code, the intelligence code, is a matter for future generations, the author boldly and forcefully disagrees. Breaking with the dogma of classical logic he develops in the form of the conversion postulate a concrete working hypothesis for the actual thought mechanism. The reader is invited on a fascinating mathematical journey to the very edges of modern scientific knowledge. 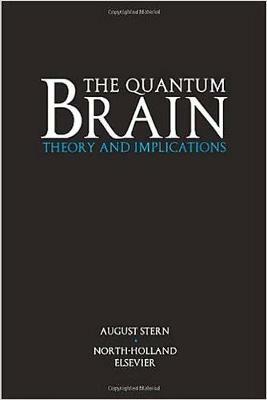 From lepton and quark to mind, from cognition to a logic analogue of the Schrodinger equation, from Fibonacci numbers to logic quantum numbers, from imaginary logic to a quantum computer, from coding theory to atomic physics - the breadth and scope of this work is overwhelming. Combining quantum physics, fundamental logic and coding theory this unique work sets the stage for future physics and is bound to titillate and challenge the imagination of physicists, biophysicists and computer designers. Growing from the author's matrix operator formalization of logic, this work pursues a synthesis of physics and logic methods, leading to the development of the concept of infophysics. The experimental verification of the proposed quantum hypothesis of the brain is presently in preparation in cooperation with the Cavendish Laboratory, Cambridge, UK, and, if proved positive, would have major theoretical implications. Even more significant should be the practical applications in such fields as molecular electronics and computer science, biophysics and neuroscience, medicine and education. The new possibilities that could be opened up by quantum level computing could be truly revolutionary. The book aims at researchers and engineers in technical sciences as well as in biophysics and biosciences in general. It should have great appeal for physicists, mathematicians, logicians and for philosophers with a mathematical bent.